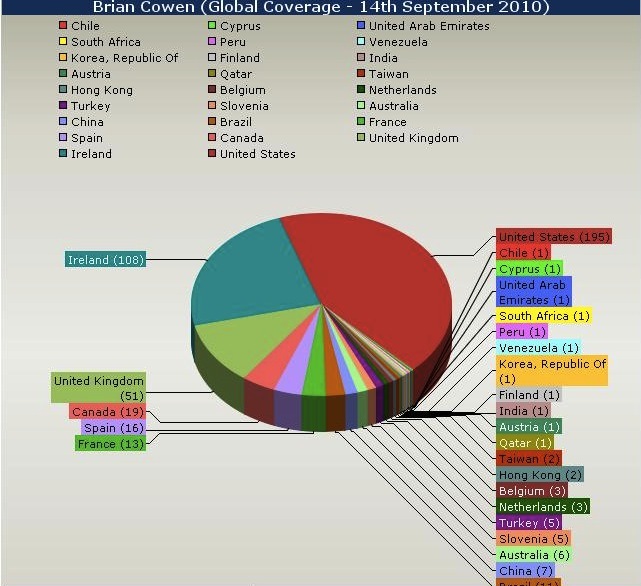 15th September 2010 O’Leary Analytics has published analysis today which shows the huge media interest in the Brian Cowen Interview with 457 articles published in less than 24 hours. 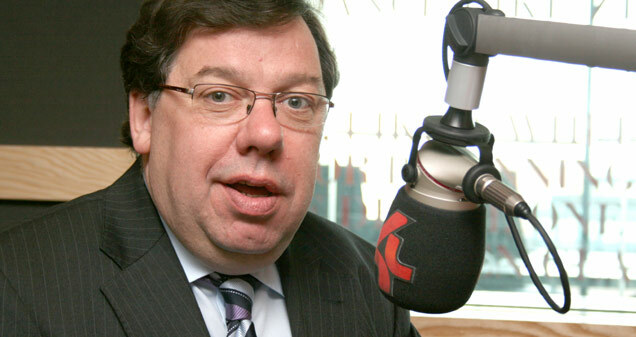 At 8:50am on Tuesday 14th September 2010, Taoiseach Brian Cowen was interviewed by Cathal Mac Coille on Morning Ireland. The interview took place in the Ardilaun Hotel on the second day of the Fianna Fáil parliamentary party conference. Over the following 15 hours, the interview, and the performance of Mr Cowen during it, became an international news story. O’Leary Analytics has analysed the coverage from over 128,000 news sources in over 200 countries in the 15 hours following the interview. As the Taoiseach of Ireland, Mr Cowen is no stranger to publicity and media attention. 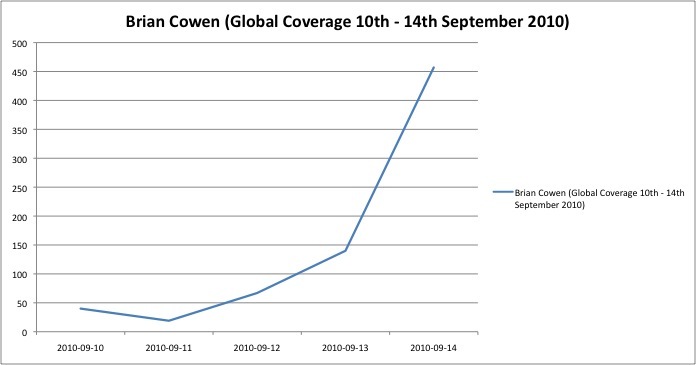 On an average day, 60 articles are published online mentioning Mr Cowen, and for the most part, they relate to his political performances. Following the interview on Morning Ireland, however, this coverage spiked with 457 articles published yesterday. 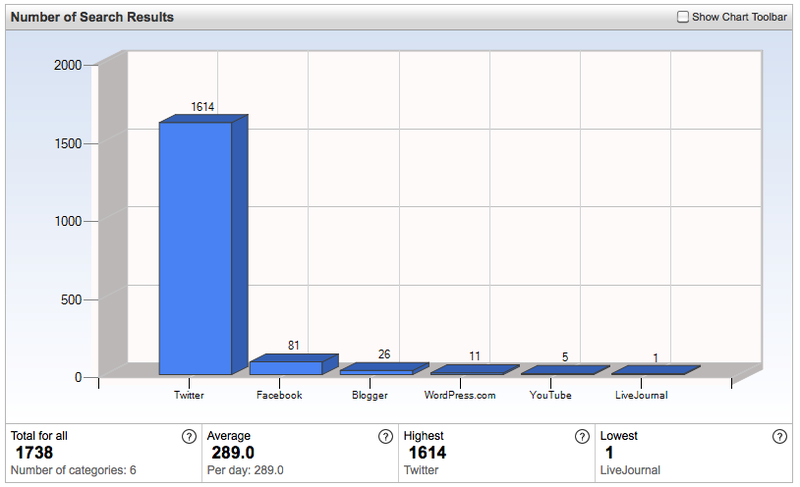 Simon Coveney’s initial Tweet was ReTweeted (republished word for word) by over 66 other Twitter accounts. 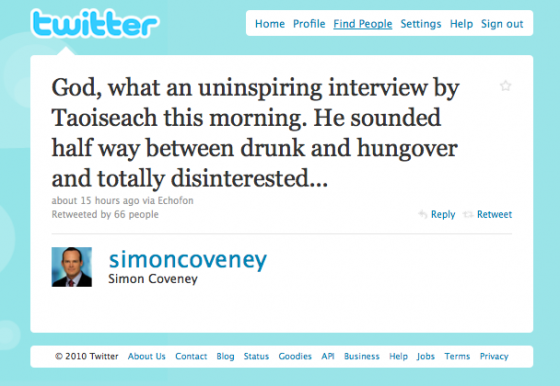 Mr Coveney was not the first person to suggest Mr Cowen was drunk or hungover during his interview – dozens of tweets were published while the interview was taking place questioning the performance of Mr Cowen and suggesting reasons for his performance. This research demonstrates that Irish political parties and Fianna Fáil specifically have failed to understand social media and it’s potential benefits and pitfalls. That the Taoiseach could be unaware of an incendiary tweet from a member of the opposition front bench indicates that Fainna Fáil does not monitor social media. Had the Taoiseach been aware of Deputy Coveney and others online comments about his early morning interview, he would surely have been prepared for questions from journalists as to whether he was drunk or hungover. The lesson here for all political parties is that digital media is equally critical to their success or failure as traditional print and broadcast channels.